Former UFC heavyweight champion Fabricio Werdum has been suspended two years by USADA after testing positive for steroids. USADA (United States Anti-Doping Agency), who oversees the UFC’s anti-doping program, confirmed the news in a statement on Tuesday. 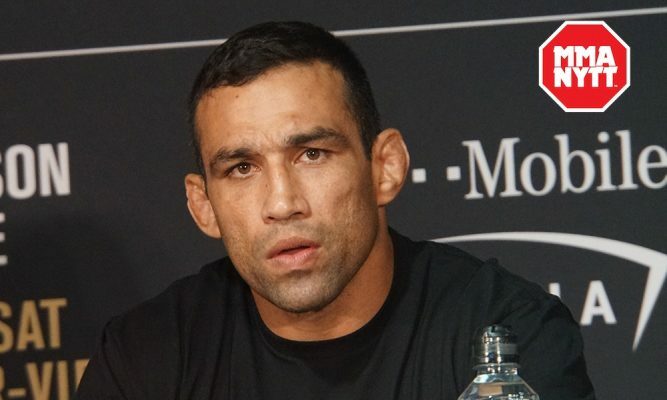 “Werdum’s two-year period of ineligibility, the standard sanction for a first offense involving a non-Specified Substance, began on May 22, 2018, the date his provisional suspension was imposed,” USADA officials wrote. That means Werdum won’t be eligible to compete again until May 2020 when he is 43 years old. Werdum was originally scheduled to headline this weekend’s UFC card in Russia against fellow submission specialist Alexei Oleinik until the positive drug test forced him out of the event. Werdum put out a statement afterwards claiming that he was already working to sort out the situation after one of his drug testing samples was flagged. Now Werdum will be sidelined for the next two years after receiving his suspension from USADA on Tuesday.